A Prayer I’ve made my own! I hope that you enjoyed a faith filled Thanksgiving holiday with your family! As usual around our home, the air was fragrant with the aroma of a baking turkey, cornbread dressing, sweet potatoes, vegetables and desserts! For me the best was laughter with my family, phone calls and of course football! My life is filled with so much love for wife, children, our families and friends! Just a few years ago I became enamored with reading and learning from the prayers of those who have come before in us in faith. One day I stumbled across a little black book of Puritan prayers, titled The Valley of Vision. The book has become a constant companion along with my Bible. I recommend it wholeheartedly for you or for a Christmas gift for someone. 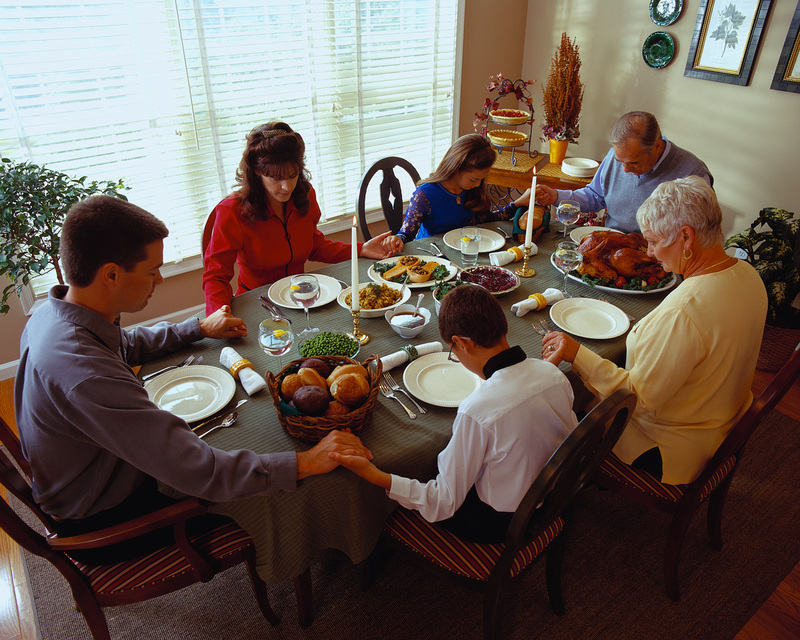 Here is a Thanksgiving prayer I’d like to share with you! O My God, Thou fairest, greatest, first of all objects, my heart admires, adores, loves thee, for my little vessel is as full as it can be, and I would pour out all that fulness before thee in ceaseless flow. When I think upon and converse with thee ten thousand delightful thoughts spring up, ten thousand sources of pleasure are unsealed, ten thousand refreshing joys spread over my heart, crowding into every moment of happiness. I bless thee for the soul thou hast created, for adorning it, sanctifying it, though it is fixed in barrens soil; for the body thou has given me, for preserving its strength and vigor, for providing sense to enjoy delights, for the ease and freedom of my limbs, for hands, eyes, ears that do thy bidding; for thy royal bounty providing my daily support, for a full table and overflowing cup, for appetite, taste, sweetness, for social joys of relatives and friends, for ability to serve others, for a heart that feels sorrows and necessities, for a mind to care for my fellow-men, for opportunities of spreading happiness around, for loved ones in the joys of heaven, for my own expectation of seeing thee clearly. I love thee above the powers of language to express, for what thou art to thy creatures. Increase my love, O my God, through time and eternity. Love, Peace and Joy in the Holy Spirit!